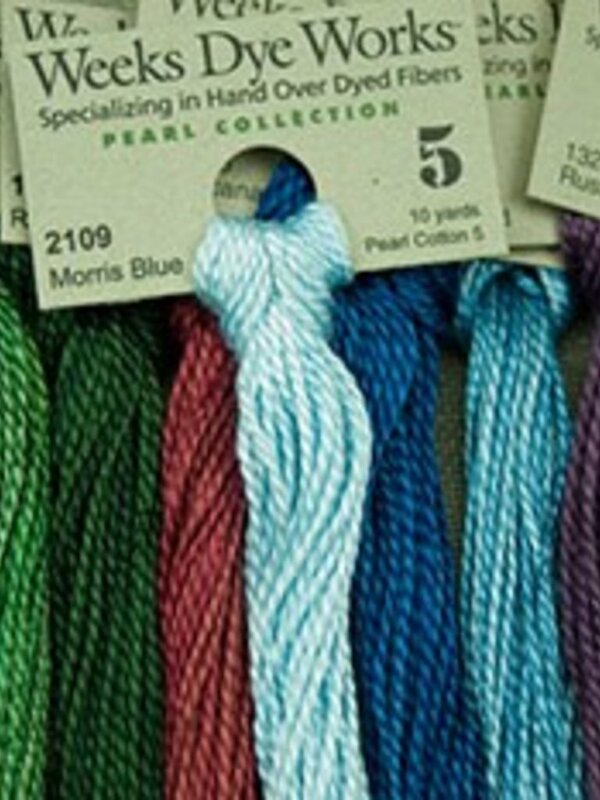 All of our pearl (also known as perle) cottons are 100% hand over-dyed cotton, with #3 being the thickest and #12 being the finest of the four weights. 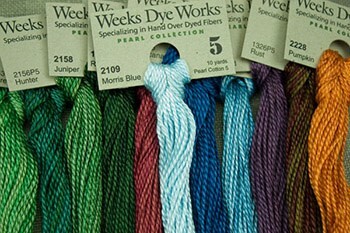 Each of these fibers is perfect for needlepoint - as well as a variety of other techniques, including blackwork, huck embroidery, tatting, quilt knotting and more - and can be used on different mesh canvases. All four weights work well for the stitches on wool appliqué and penny rugs, too.